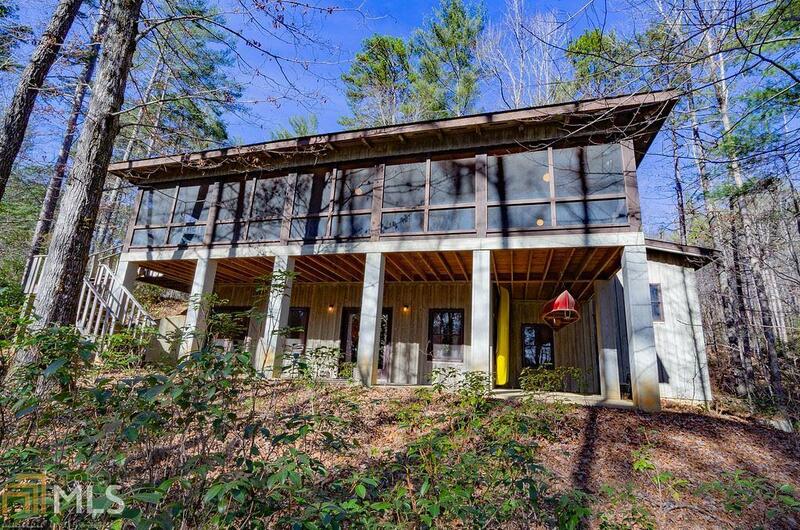 1.24-acre Fee Simple 3BD/2b lakefront cottage with private swim dock on Lake Burton! Great room offers heart pine flooring, vaulted ceiling with exposed beams, tongue and grove pine paneling on walls & ceiling, river stone fireplace and access to wrap around lakeside screened porch. Terrace level family room doubles as a bunk room. Oversized porches on front and back provide opportunity to expand bedrooms under roof! Don't miss this affordable opportunity to get on Lake Burton! Copyright 2019 Georgia MLS. All rights reserved. Information deemed reliable but is not guaranteed. The data relating to real estate for sale on this web site comes in part from the Broker Reciprocity Program of Georgia MLS. Real estate listings held by brokerage firms other than Keller Williams Lake Hartwell are marked with the Broker Reciprocity logo and detailed information about them includes the name of the listing broker. Information provided is for consumer\'s personal, non-commercial use and may not be used for any purpose other than to identify prospective properties consumers may be interested in purchasing. Keller Williams Lake Hartwell does not display the entire MLS database on this website. The listings of some real estate brokerage firms have been excluded. This site will be monitored for \'scraping\' and any use of search facilities of data on the site other than by a consumer looking to purchase real estate, is prohibited. Listing broker has attempted to offer accurate data, but buyers are advised to confirm all items. Information last updated on 2019-04-18.